Categorizing things isn't always the most simple of tasks, and there are areas of the SUV/crossover segments where the lines can be pretty blurred. The 2017 Dodge Durango is a great example as although it's a unibody construction like a regular crossover, it also has the towing and hauling capability normally associated with a truck-based SUV. Ford doesn't have anything that's quite as unsure of its identity as the Durango, but it does have the similar sized Explorer that also costs a similar amount to buy. To see how they shape up against each other, here's our 2017 Ford Explorer vs. 2017 Dodge Durango comparison for those who might be torn between them. If you want different, quirky and possibly even a little odd, the 2017 Dodge Durango fits the bill. It's certainly not something you'd describe as overly retro or as a throwback to decades gone by, but it definitely looks like it's having a bit of an identity crisis. Taken in isolation it's not a bad looking vehicle, but any warm, fuzzy feelings you may be getting about the way it looks will quickly disappear if you see it parked next to the 2017 Ford Explorer. The Ford has an altogether more contemporary and sporty look about it, which is only further accentuated by the top-of-the-line Sport trim level. But if you can't quite run to the expense of the highest specification Explorer, you can still get a lot of its looks by springing for the Sport Appearance that's available for lower trims. In its Sport trim or with the appearance package, the Explorer can even start to verge on menacing with the way it looks, especially in darker colors. However, even if you don’t go down the sportiest of routes, every Explorer is modern, stylish and devastatingly attractive. Midsize crossovers are big business right now, and that's not a surprise when they can look as good as the Explorer. The Explorer has the edge over the Durango right from the off when it comes to powerplants as the Ford offers three different options and the Dodge only has two. The standard engines are fairly similar as they're both naturally aspirated V-6s that produce almost identical quantities of power and torque. But there's also a 2.3-liter EcoBoost inline-four available for the Explorer that has no equivalent in the Dodge Durango. This economical yet powerful unit develops 280 horsepower and 310 lb.-ft. of torque, which makes it more than a match for the standard engine in the Dodge. The Durango's optional powerplant certainly ups the power ante from the standard unit with the 5.7-liter Hemi V-8 putting no less than 360 horsepower at your disposal. Unfortunately, 360 horses doesn't quite cut it when compared to the Explorer's most powerful unit, which is a thoroughly modern 3.5-liter V-6 EcoBoost that develops an impressive 365 horses and gives better fuel economy than the Dodge's V-8. Fuel economy might not be top of your list of priorities if you're buying a three-row family hauler like one of these two, but it's still something that needs to be considered, nonetheless. It's probably not going to be too much of a shock then that this is another area where it’s a win for the Explorer. The best numbers the 2017 Dodge Durango can muster are 19 mpg in the city, 26 mpg on the highway and 21 mpg combined from V-6-equipped models with rear-wheel drive. 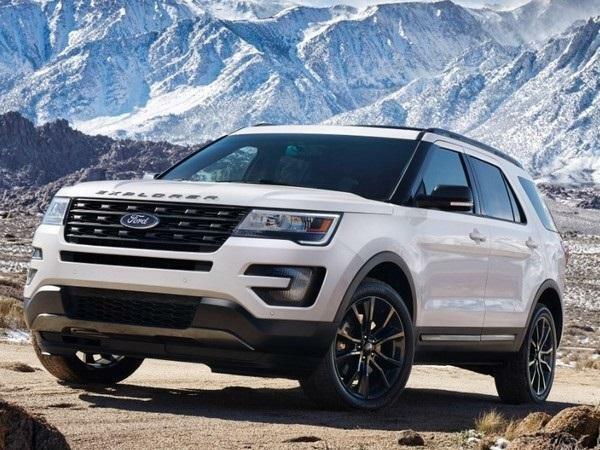 The 2017 Ford Explorer's most frugal model is unsurprisingly the 2.3-liter EcoBoost inline-four, and with front-wheel drive it's rated at 19 mpg in the city, 27 mpg on the highway and 22 mpg combined. If you want the most power available, the 3.5-liter V-6 in the Ford is also more economical on gas than the V-8 in the Dodge. Pictures can be deceiving, and it would be easy to think the Durango was a little bigger than the Explorer and therefore more practical and spacious. But the sleek, sporty styling of the Ford actually masks the fact it's marginally bigger inside than the Dodge. This means there's more room for passengers to enjoy on the inside of the Ford, and that's a big deal for a vehicle like this. There's more leg and headroom throughout the Ford's cabin, which is also seven-seat as standard whereas the base Durango comes standard as a five-seat offering. But despite those superior interior proportions, the Explorer is actually a slightly smaller vehicle than the Durango in terms of length, wheelbase and width, which makes accessing tight spaces that little bit easier for drivers in the confines of the urban environment. 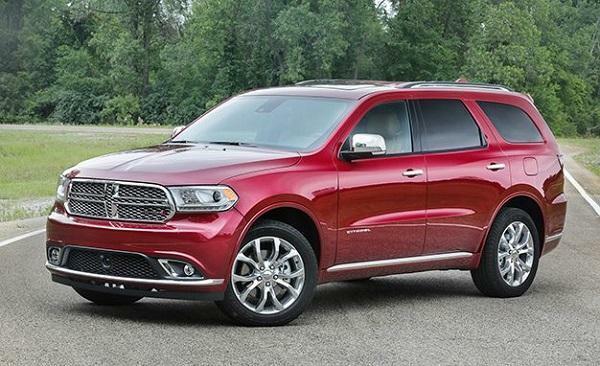 Just like the way it looks, the 2017 Dodge Durango is fine taken in isolation. But put it up against something as thoroughly modern, impressive, sporty and dynamic as the 2017 Ford Explorer and the Dodge's shine quickly fades. You will be asked to pay a little more for the Ford, but it's a small price for something that's quite obviously so superior.